Why would you wait one week? And why not three days, or a month while we’re at it? Truth be told, there’s no point in attaching a number to this sort of waiting game. And that’s because of one reason. Arm yourself with everything you need to know to grow your business. Increasing your sales pipeline velocity – the speed at which you put deals through your pipeline – is the one thing that will radically improve your sales performance, even if you do nothing else. Why is sales velocity important? Think about your sales cycle. If it takes three weeks for any given deal to make it through your sales pipeline instead of four, then by the end of any given period, you’ll have closed 33% more deals. Simply by closing quicker. Here are three tips that will help you to follow up quicker and hear no’s faster – the two factors that have the biggest effect on sales pipeline velocity (and your paycheck). It’s impossible to get your prospects to make faster decisions if you don’t know the pace at which they’re currently moving. The easiest way to find out is simple – you ask. After a couple of times of doing that, you begin to understand how decisions are made, as well as the complexity of the process behind closing a deal in your prospect company. What’s the most common sentence you hear after presenting a proposal to a prospect? If your experience is anything similar to mine, then you probably hear “I’ll need to think about it” quite often. What I’ve experienced with new salespeople is that they’ve have formed a fear of doing follow-ups quickly – they’re afraid of coming off as pushy. However, once you get a little bit further down your career, you realize that applying gentle pressure is absolutely fine. In fact, it’s something that needs to be done to move deals forward. Your goal is never be to be pushy, but you should strive to be clear. If they tell you that they need to consult with someone on the matter, ask them when they will be able to see the person and discuss the question, and promise to call them immediately after that. If there’s something else holding up their decision, you’ll most likely hear something about it. This kind of response will gently force your prospect’s hand a little, helping you move the deal forward far quicker than usual. It might even trigger an instant response to your proposal. If making a decision takes them longer than your normal sales cycle, then chances are that your prospects are not actually interested in buying from you. That why you should try to get to “NO” as fast as possible so you could move forward and stop wasting everyone’s time, especially that of your own. Hearing a no does not mean you have to write the company and the contact off – they will still be there for you to initiate a new deal anytime in the future. Create a new pipeline or a list for a backlog of ideas that you can’t realize at present. This will give you a solid source of ideas that you can always go to, whenever you’re in need of fresh blood in your sales pipeline. Get to know how your prospects make decisions, and use it to your advantage. Don’t let your prospects “think about it” with you being unsure what they are thinking about. Know that it’s OK to push your prospects a little. Do it nicely and you will reap huge rewards. Get responses to your proposals quicker and don’t worry about hearing no’s. The quicker you get them, the better for you. For really good unrealized ideas, create an “Ideas for deals” backlog. 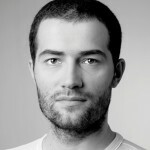 Timo Rein is the co-founder and CEO of Pipedrive. Timo has 15+ years of sales pipeline experience as a salesman, sales manager and software entrepreneur. If you liked this post check out his free Sales Pipeline Academy for more sales pipeline tips.